The Single Father's Guide: Celebrating 100,000 Page Views: Win a FREE Copy of The Single Father's Guide to Life, Cooking, and Baseball! Celebrating 100,000 Page Views: Win a FREE Copy of The Single Father's Guide to Life, Cooking, and Baseball! I'm very happy to announce The Single Father's Guide Blog will have its 100,000th page view in November! 2) Write a (constructive) comment under any blog post. I'll notify the winner via the email corresponding to the blog comment and I'll announce the winner on the Blog in early December. Most of all, thanks again for reading The Single Father's Guide Blog! I hope it has helped at least a little, single dads (and moms), to make life as a single parent just a little easier and more rewarding. Purchase is not necessary to enter. Contact Matting Leah Publishing Company, P.O. Box 265, Warwick, NY 10990 for more information. Odds of winning depend on the number of entries. Entries (blog post comments) must be made between November 1, 2013 at 12:01 a.m. EST and November 30, 2013 at 11:59 p.m. EST. One (1) winner will receive one (1) copy of The Single Father's Guide to Life, Cooking, and Baseball by Matthew S. Field in its first edition paperback form. The listed retail value is $17.95 USD. Winner will be notified by email using the email address corresponding to his or her written blog comment and announced as a blog post at The Single Father's Guide Blog. 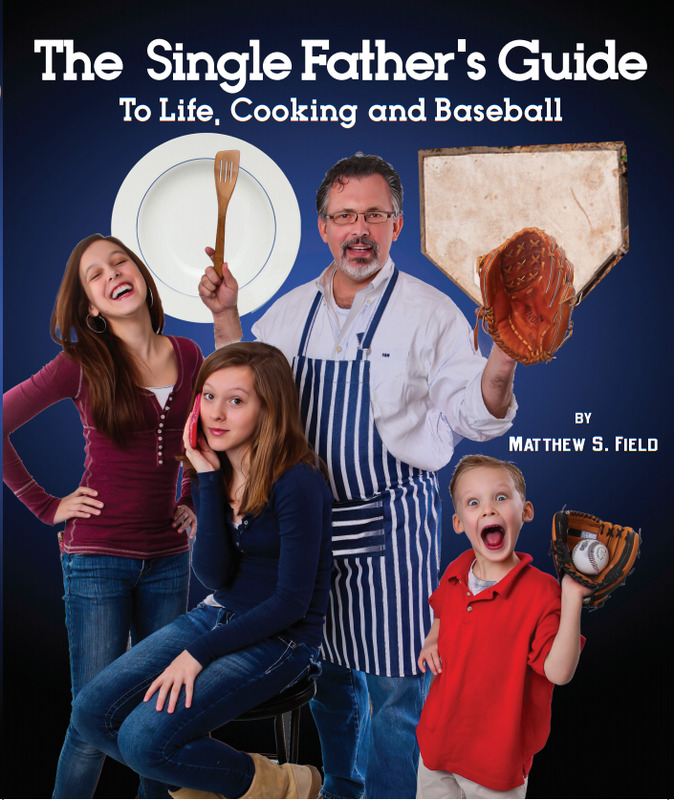 The one (1) copy of The Single Father's Guide to Life, Cooking, and Baseball by Matthew S. Field in its first edition paperback form will be sent to the contest winner via U.S.P.S. Media Mail to the winner an postmarked on or before December 31, 2013. Matting Leah Publishing Company will not be held responsible for the prize delivery if the winner fails to provide a valid U.S. mailing address.